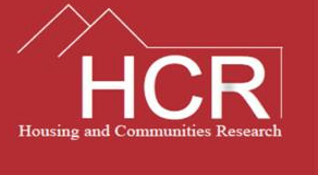 On 9th July 2018, the conference “Hope for Housing – the rebirth of Community-Led Housing“ was held at the University of Birmingham, UK. The conference hosted 100 participants from academia, community activism and policy who discussed support mechanisms for community-led housing in Birmingham and the English West Midlands. The event featured results from Dr Richard Lang’s recent Marie Curie Fellowship “Co-operative capital” and consulted on findings from that research comparing collaborative housing developments in England and Austria. On November 5, 2018, David Mullins, Emeritus Professor of Housing Policy, presented the Hope for Housing conference report to the Steering Group of Birmingham Community Homes and to Councillor Karen McCarthy, Chair of Planning at Birmingham City Council. The conference of the Housing and Communities Research Group took place in July 2018. The conference report is intended to provide a resource for people working to promote collaboration, community empowerment and community benefit through housing. It provides an accessible source of information on the national policy context, international models and a local vision forBirmingham Community Homes, the new enabling body set up to provide practical support to multiply community-led housing in Birmingham. It documents practitioner discussion of Dr Richard Lang’s models of co-operative capital connecting local projects to resources via hubs and multi-level support. It provides great examples of how existing housing can be community-led too. It includes participant feedback and updates on the exciting changes happening in the Midlands since the conference. Next:Here we want to help!